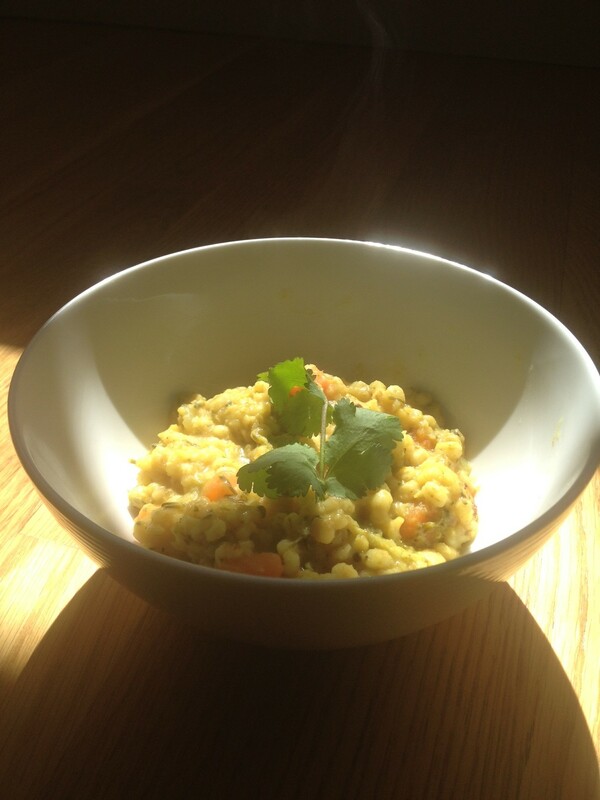 Spring barley bowl–great to put a spring in your step in the spring. Sick of colds, coughs, and allergies this time of year? Why do we get colds in spring, anyway? Spring is the time when kapha dosha melts. Think of this as the equivalent of winter ice melting to make way for spring’s lush growth in our bodies. If we don’t adjust our heavier winter diets to address the melting kapha this can mean colds, allergies, cough, asthma, or just a feeling of heaviness or sluggishness. Blech. Ayurveda’s wisdom says that that if you’re trying to rid your body of accumulated winter fat and heaviness, it’s time to switch to a light, easy-to-digest diet. OK, most wisdom says that. Keep reading for dietary tips to keep you healthy and a light springtime barley bowl at the end of this post to help you feel right.